Coconut tasting like bacon. It’s a mind bender at first. You may think I’ve gone off my vegan rocker, but I beg you to give me a chance. The first time I heard about this I was certainly curious, as I adore coconut and am always seeking new and creative concoctions to try out. This recipe can’t get much easier, and the outcome is surprisingly awesome. 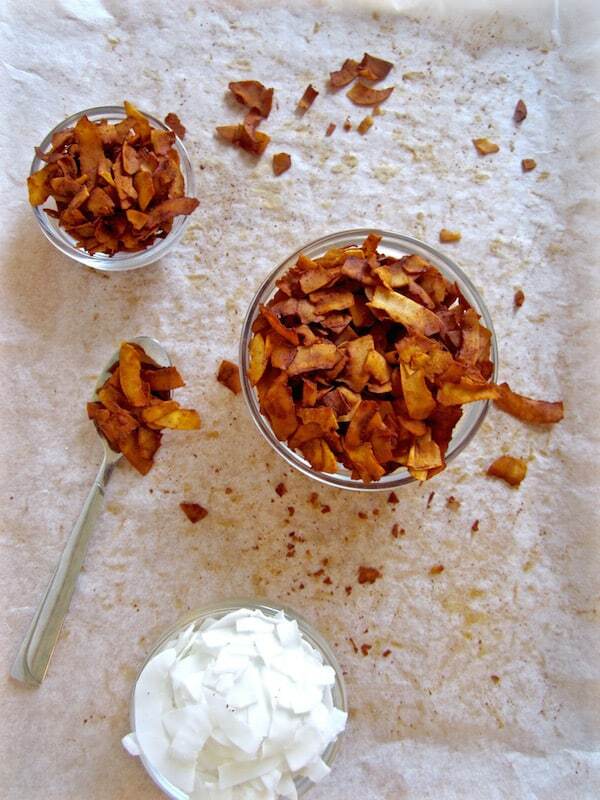 The texture of the coconut creates a chewy and crispy result, akin to real bacon bites. The marinade is obviously key here, as the coconut absorbs the flavor combination which makes the coconut taste like smoky, salty bacon with some sweet, coconutty notes also shining though. I’m not sure who to credit with coming up with coconut bacon. I’ve seen it on a variety of blogs including Fran Costigan, Well and Full and Cookie and Kate. My version below is a slightly modified recipe based on my own testing. Have you seen my Eggplant Bacon recipe for a vegan & gluten free BLT Sandwich? It’s one of my favorites! 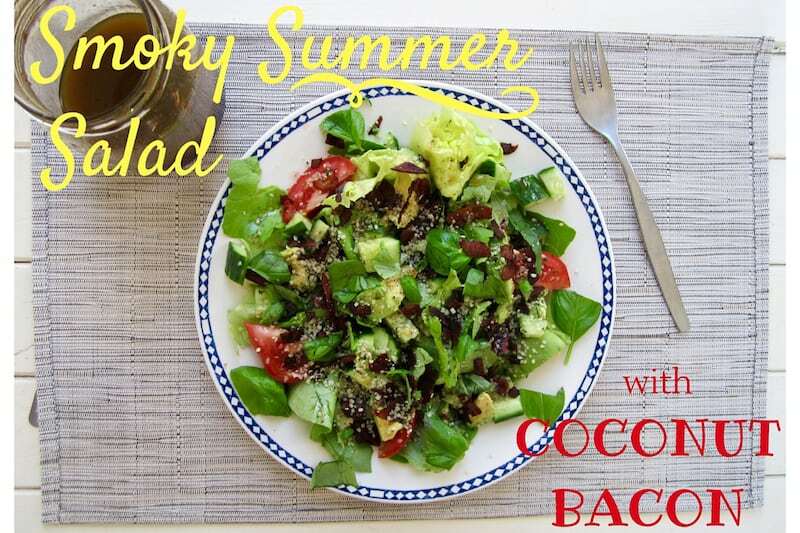 I really love coconut bacon on a crispy bed of lettuce with avocado, tomato and cucumber, reminiscent of a cobb salad. 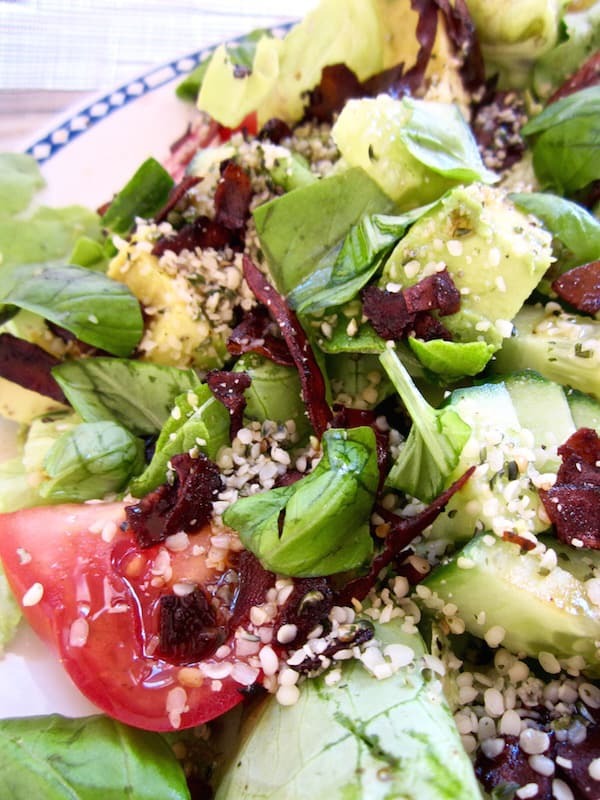 Add in some hemp seeds for protein and fresh basil for brightness. Put it all together and this salad is light and crunchy, yet maintains a depth of flavor that satisfies. 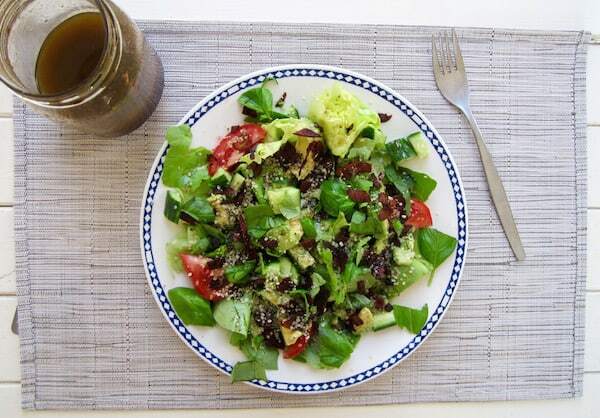 Try it with this Homemade Classic Balsamic Vinaigrette Dressing. 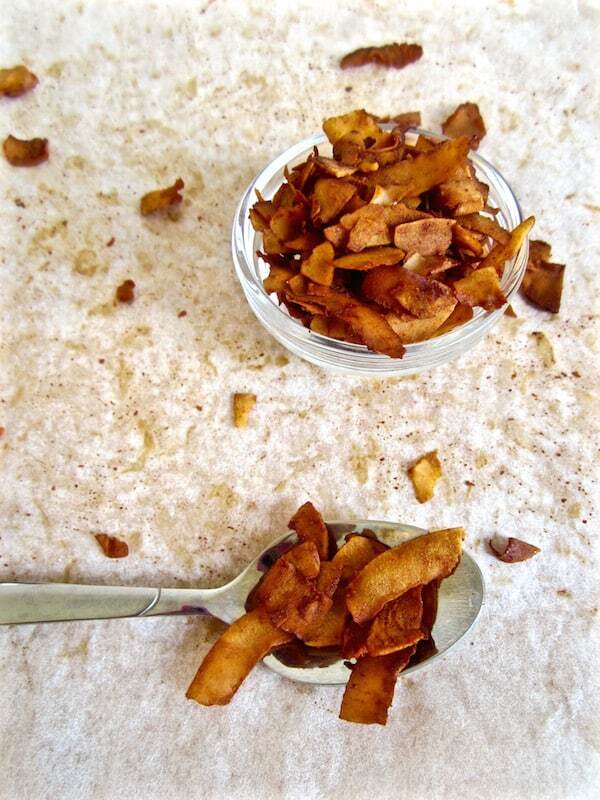 Healthy vegan bacon that tastes like real bacon bits! 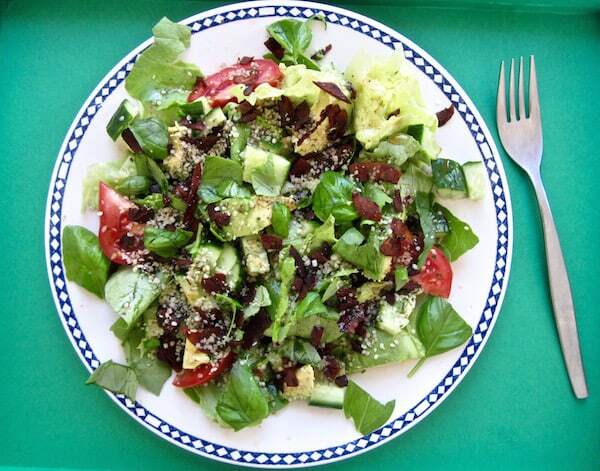 Serve on top of this light, crunchy summer salad to tantalize your taste buds. Combine all ingredients and let marinade for 10 - 15 minutes. Preheat the oven to 350 degrees F. Spread the coconut out on a parchment lined baking sheet, trying to keep a single layer without clumps. Bake for 10 minutes, then stir. After that you’ll want to stir every two minutes, keeping an eye on it as it can burn easily. Depending on your oven and desired level of crispiness, it will need to bake for 12 - 16 minutes total. Let it cool and then store in an air tight container. It will keep for up to two weeks, but becomes less crispy over time. For the salad: Combine desired amounts of all ingredients. YAY! Let me know what you think when you do! I only recently discovered Coconut Bacon and I am hooked!! Your recipe is great! !